Greetings all. 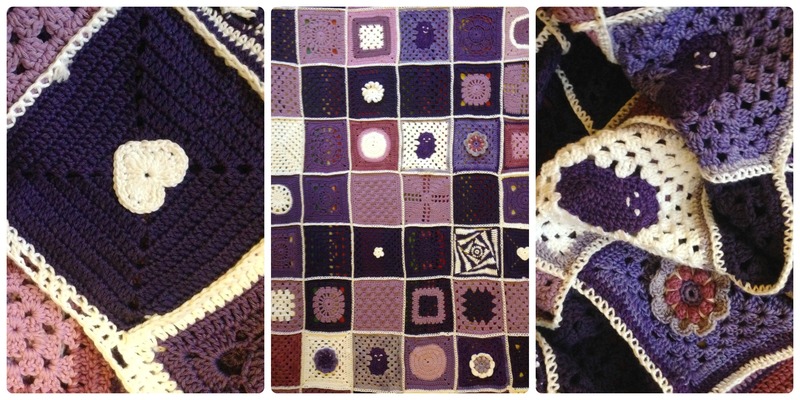 This is just a quick post to say that I’ve just returned from the dialysis unit of the Royal London Hospital where I dropped off the last two of the seven blankets from Crochet For Kidney Research UK. My personal favourite is the cotton blanket. It has three smiling Kidney Granny Squares which I love. They’re so unexpected and cheery nestled amongst the sensible, grown-up squares. I do hope the recipient of the cotton blanket feels the same. If not, the flowers and hearts should do the trick. I didn’t spend a lot of time in the dialysis unit as I used my lunch hour to drop off the blankets. I’m also going to be honest here and say that being back there reminded me of seeing John so very unwell from the nasty side effects of the pain medication after last year’s transplant. Walking through the Renal ward again, I was grateful that John and Pieter are both in such excellent health now, but that doesn’t mean I was able to face being back in the hospital. It might sound spineless and uncharitable for not chatting with the people in the dialysis unit, but I just couldn’t. 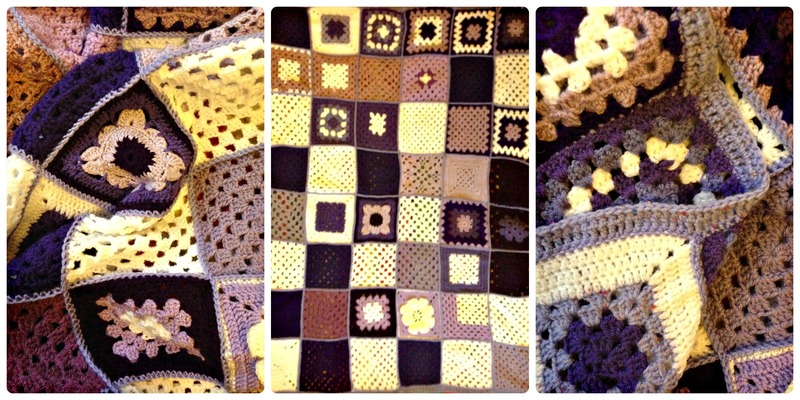 I would rather pour all my energies, positive thoughts and happy vibes into making the crochet blankets. 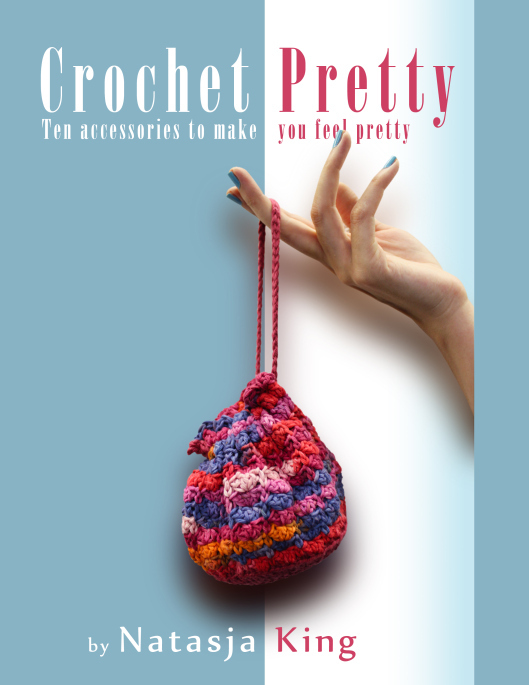 I’m now even more inspired and excited about Crochet for Kidneys – Part II. Lots and lots of pretty, bright hexagons for even more dialysis patients! Now that the blankets from Part I are done, I can also begin working on the hexagons for Part II. I just have to finish my Sunset Shades scarf first. Geez, that one is a long time coming. Do you remember? My last post about that beautiful scarf was on 8 October! I have so many plans for that scarf. It’s going to be the cornerstone of More Pretty Things so please excuse me if use a bit of the Christmas and New Year holiday break to finish my scarf first. Saying that, I can’t expect you all to make hexagons for charity blankets and I do absolutely nothing, so I wrote up a hexagon patterns for you which I will blog soon. It’s only fair, right? And of course, once the scarf is done, I’ll be hexagoning like crazy. Now that I’m sitting back at my desk in the office, blogging about what I did at lunch time, I do hope that we’ve managed to cheer up two people in the dialysis unit today, even just for a little while. I know a blanket won’t cure their kidney failure, but maybe it can remind them that there are people out there who want them to feel better even though we are strangers. What a blessed afternoon we had! John is back from his yearly check-up at the Royal London Hospital and has dropped off the five blankets. He took the blankets to the dialysis unit where two of the nurses helped him give the blankets to two of the poorly folk who needed it most. The nurses will give the remaining three blankets, and the other two that I will be sending by post, to the other patients when they are in the dialysis unit again. John and I are both so happy that the blankets would be used where it is most needed – right there in the very cold dialysis unit of the hospital where John & Pieter’s kidney transplant took place. We were told that blankets couldn’t be given out to people in the dialysis unit of a hospital due to the health & safety issues and hygiene. The plan was that the blankets would go to those who go through dialysis at home, but this way is so much better. The patients who receive our crocheted blankets would keep their blankets at home and only bring it in to the unit when they come for their dialysis sessions. No hygiene or health & safety issues! Yeah! I am now even more fired up to start Crochet for Kidneys Part 2! Today we saw what a difference those loving made blankets have made, and that’s what counts. In total seven people will receive something useful and tangible that will bring them comfort and hope. I had the pleasure of personally handing over two of the blankets to two very happy and amazed people. They were so pleasantly surprised that a complete stranger would come and hand over such a lovely gift to them. And that’s exactly why we decided to do it. We’re all connected, and we’re all a part of God (not apart from God) so what we do for others, we also do for ourselves. 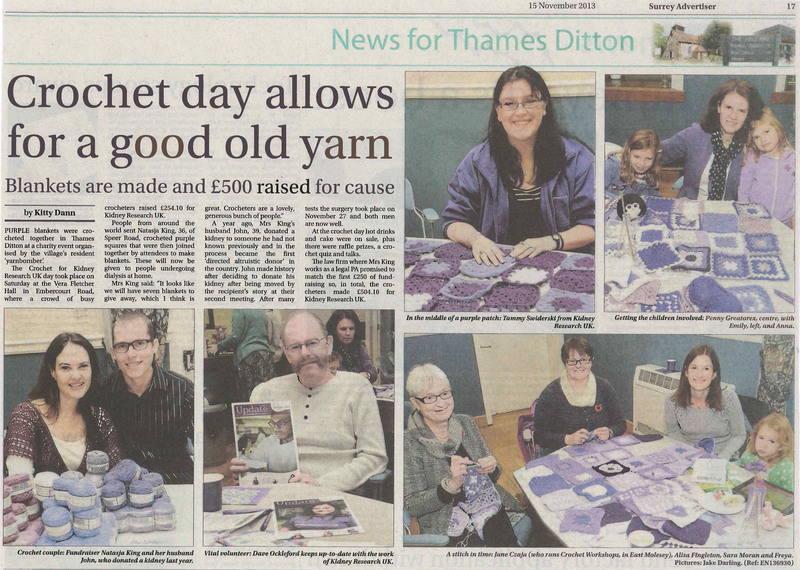 The Crochet For Kidneys Research UK morning appeared in Friday’s issue of the Surrey Advertiser! Stick with me ladies. I’ll make you famous. If you click on the picture, it will appear bigger. Kitty wrote a really lovely article and Jake took the great photos. It was Jake who suggested John and I sit at the table with the Vinni’s Colours cotton yarn, so now you can see how it looks in real life. Speaking of Vinni’s Colours, I have fourteen shades on its way to me from South Africa. I can’t wait to show it to you and to start playing with it. Can you imagine the colour combination possibilities!? Hours of fun I tell you. 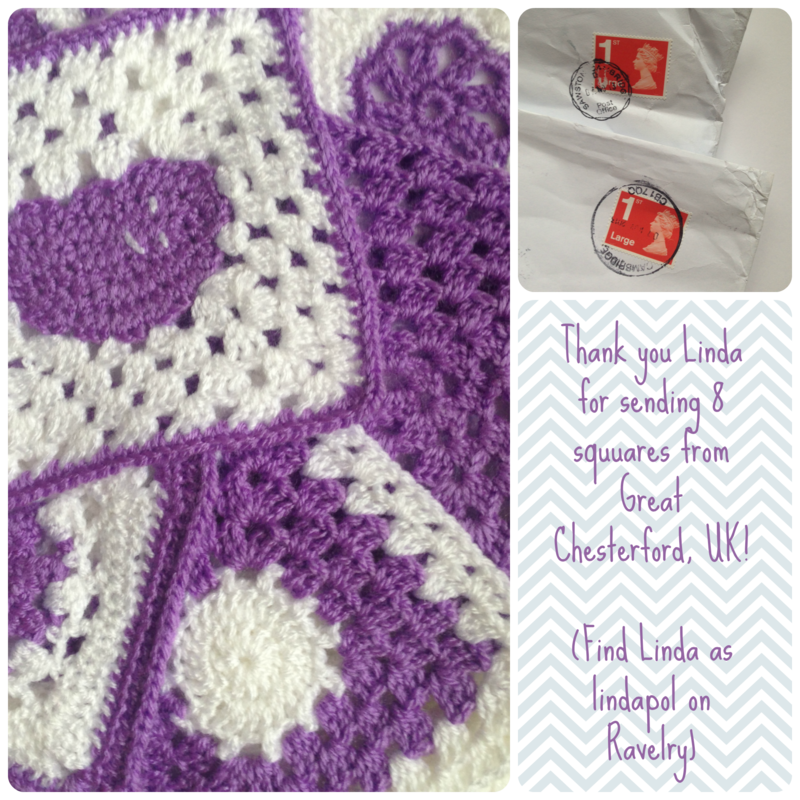 It’s been a week since Crochet for Kidney Research UK took place (read about it here), yet I’m still receiving crocheted squares for the blankets. You lot are the greatest! I’m not “officially” accepting any more squares but these three ladies either posted their squares before 9 November, couldn’t attend the event in person or just desperately wanted to be involved. 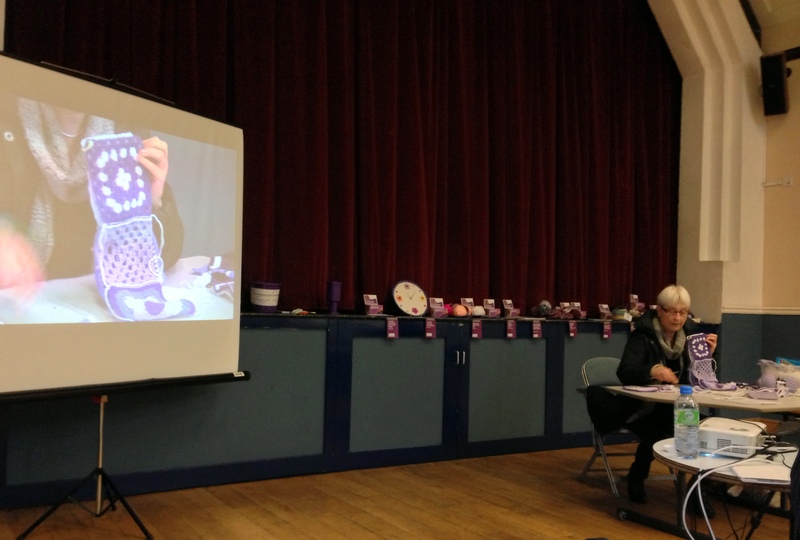 I met Maureen a couple of months ago at one of my crochet demos at Tudor Williams. She asked me to explain working in the round, and now look at her: ten beautifully made granny squares with perfect tension, neat and lovely colour combinations. Rochsane found out about the chairty blankets through Haekelmonster’s blog. 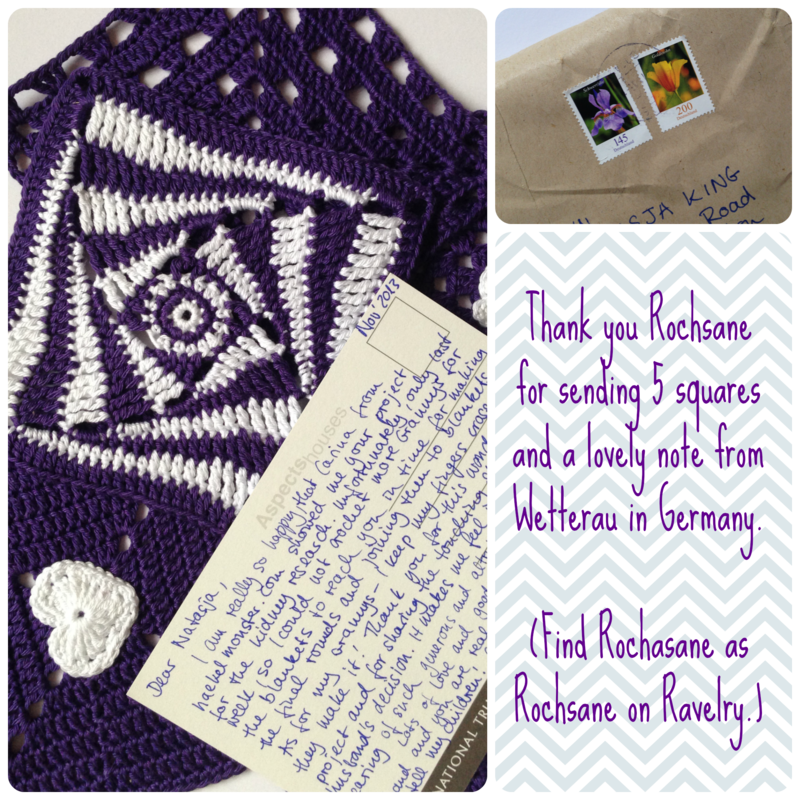 John immediately fell in love with the white spiral square – please give me the name of that pattern Rochsane! Rochsane also wrote the most beautiful note. John and I both had chills when we read it. 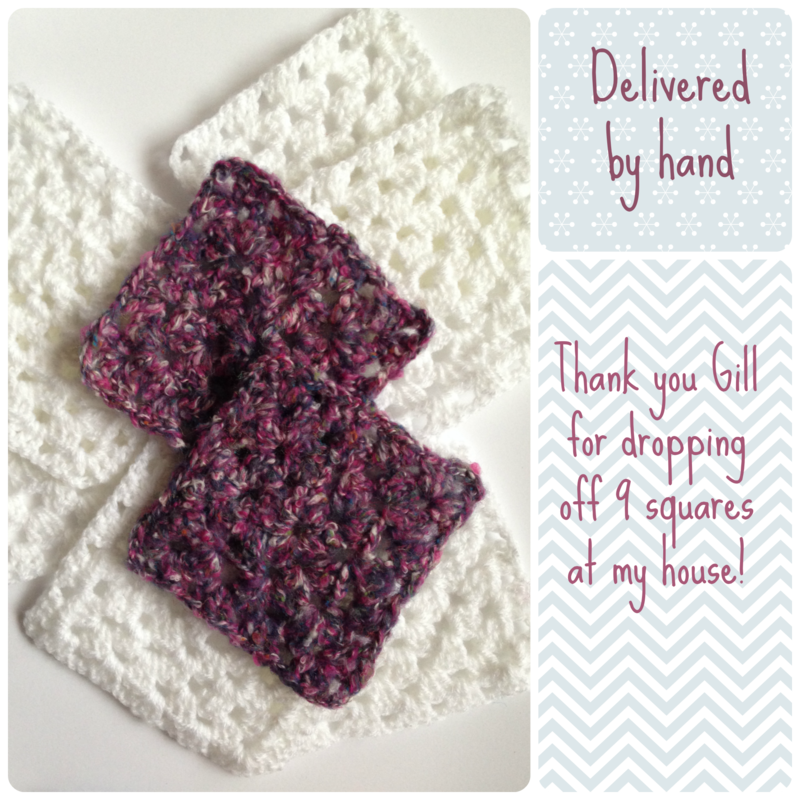 Gill dropped off her pretty squares at my house on Friday. She works on the admin side for the Renal & Transplant Unit at Imperial NHS Trust. To quote her email: “….so I am only too well aware of what goes on and the need to make patients’ time with us more comfortable and fulfilling.” Having someone who works with renal patients every day, confirm exactely why I took on this charity project really means a lot to me and Gill’s email popped into my inbox when I needed it most. I’m definitely going to incorporate these 24 squares into the blankets. In fact, I think some of them may already be part of Blanket No. 2. Yes, two….. Last night I finished crocheting the edging on Blanket No. 1 and laid out the squares for Blanket No. 2. Whoo-hoo! 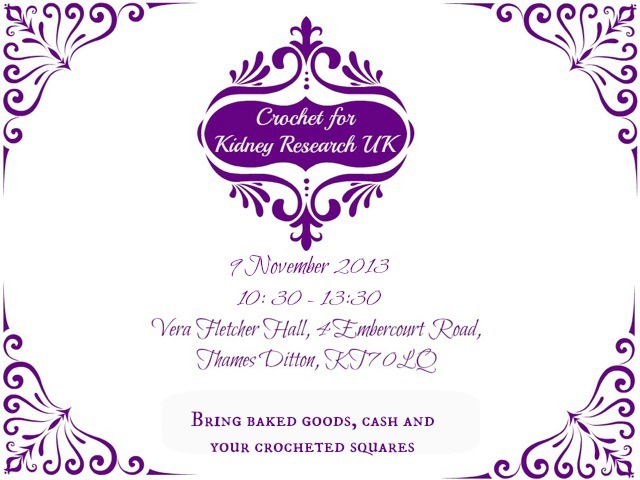 I’ve been keeping track of the dates, names, places and numbers involved in Crochet for Kidney Research. There’s some impressive numbers! I’ll be using all of that information to make tags for the blankets. I have to make tags anyway to give the care instructions, so I might as well use the opportunity to tell the recipient of a bit more about each blanket. Right? I will keep you all updated as to the when, where and how of handing over the seven blankets. 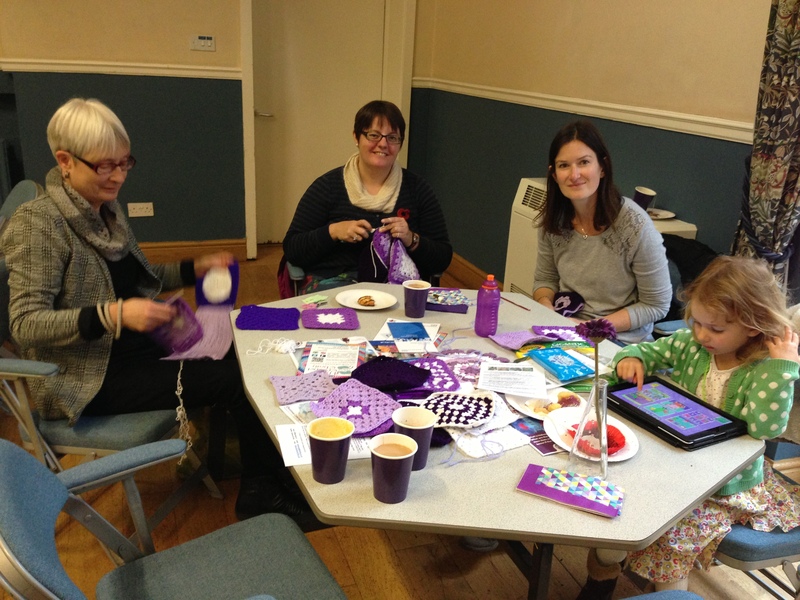 Crochet for Kidney Research UK has come and gone. It feels surreal that the blogging about the event since September, the tweeting, newspaper articles, photographing hundreds of your lovingly made crocheted squares, shopping for coffee, tea, milk and anything purple, planning, decorating the Vera Fletcher Hall, writing speeches and so much more, was for a 3 hour event on a Saturday afternoon. But you know what, it was all worth it! I think the day was a success. There were a few empty tables, but so what. 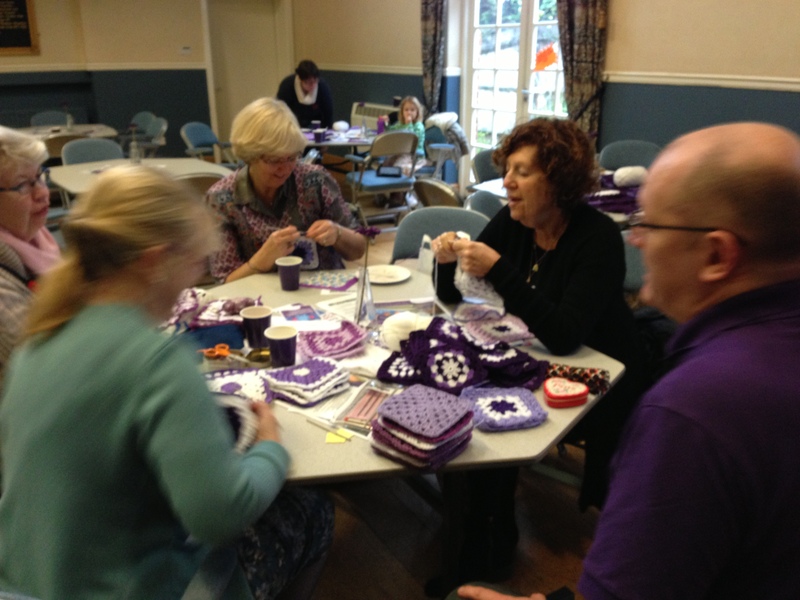 Those that were there helped to make blankets for dialysis patients, we made new friends, we crocheted, we learned more about the work that Kidney Research UK does and by buying raffle tickets, hot drinks and cakes, we raised £254.10. But that’s not all. The law firm where I’m a PA, will give £250 for the charity if an employee raises at least £250, so that means I will be sending £504.10 to Kidney Research UK! 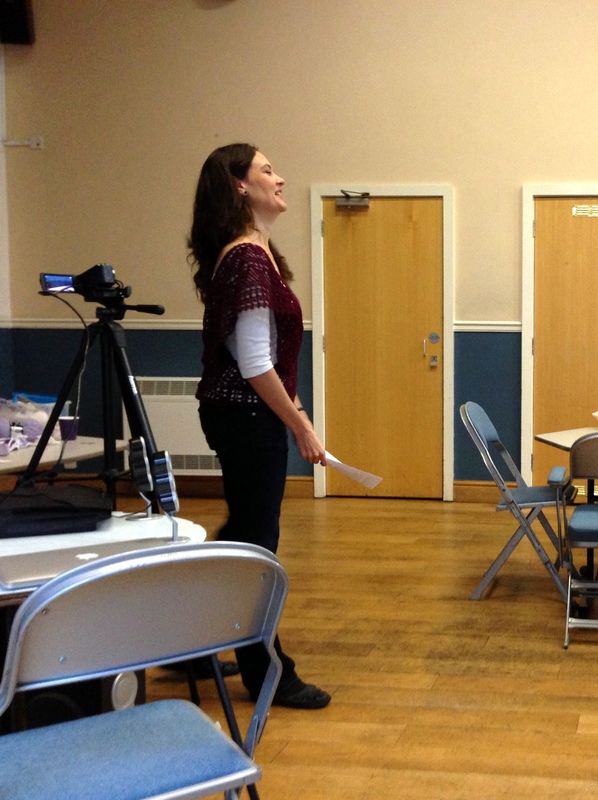 (We JUST made the £250 minimum, so whoever spent £4.10 on cake and coffee – God bless you!). You know what got me the most exited about yesterday? : seeing all the crocheters together and knowing that you all have such good hearts and compassion for others. I know I’m supposed to say that it’s good to have raised the money, but for me, it’s more about being able to give – at the last count – 7 blankets to 7 people on dialysis and showing them that there are people out there who care about them. Care enough to have gone through the trouble of finding a pattern, buying yarn and taken the time to crochet them a blanket. That’s what it’s all about for me. 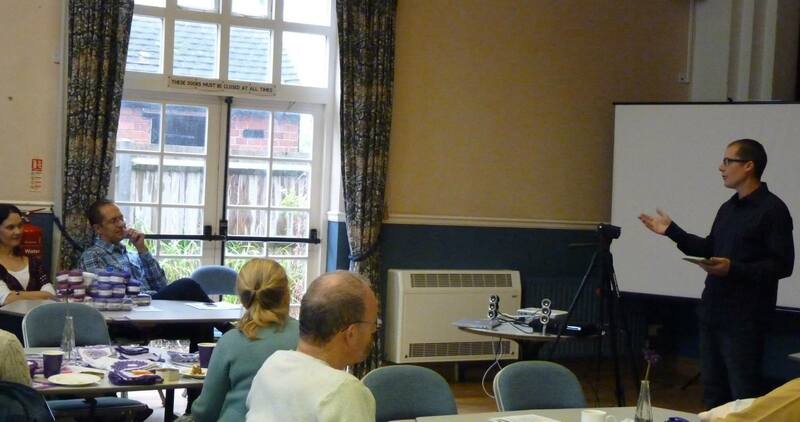 followed by Jan Czaja who demonstrated the slip stitch method for crocheting squares together. John connected our camcorder to the projector so that Jane would be displayed nice and big for all to see. Jane did a great job of showing us the method and explaining what to do when you have to join two donated squares made by two different people, using different yarn, with different tension and different patterns. The answer: wiggle your squares. Thanks again Jane for being there and doing such a great job. Now that everyone knew why we wanted to raise awareness and money for Kidney Research UK, it was time to start crocheting. My favourite part of the whole day. As you can see we were all hard at work and there were so many squares! I will do a separate blog post about the squares and the lovely ladies who offered to take squares home to make up the blankets. 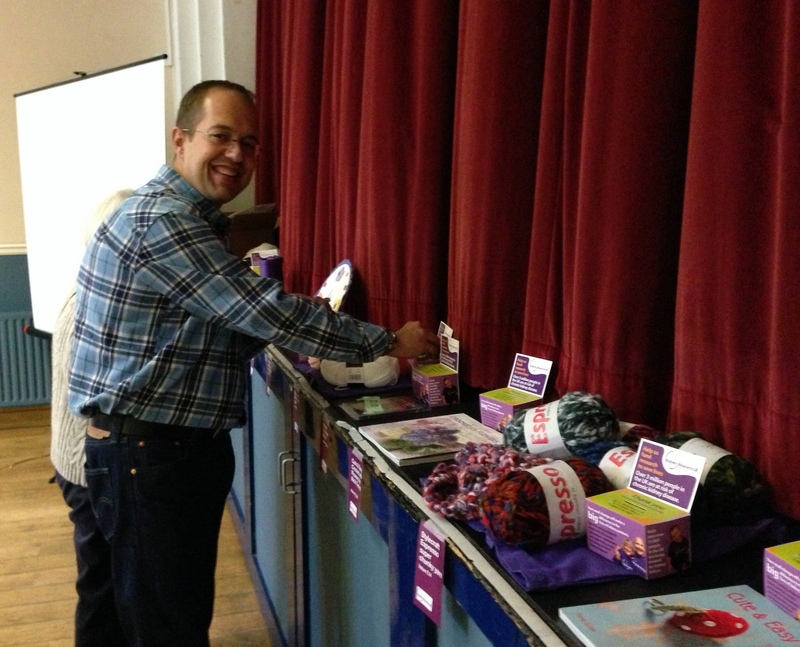 While we were crocheting, Pieter and John sold the raffle tickets. 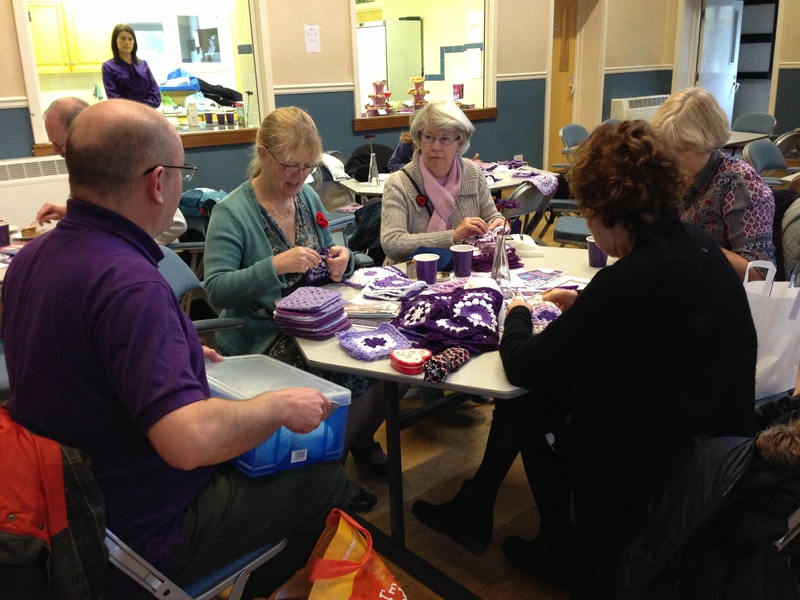 By this time it was around 12:45, which meant time to do the crochet quiz and draw the raffle prize winners. I tried to read out the quiz questions, but my voice just wasn’t loud enough, so John took over. He was a great quiz master. Congratulations to team Crochet Queens – Tammy, Cecilia, Dave (Cecilia’s carer and husband) and Jane – who got 10 out of the 12 questions correct and won the Sublime Baby Cotton Kapok yarn and gift vouchers from Black Sheep Wools. 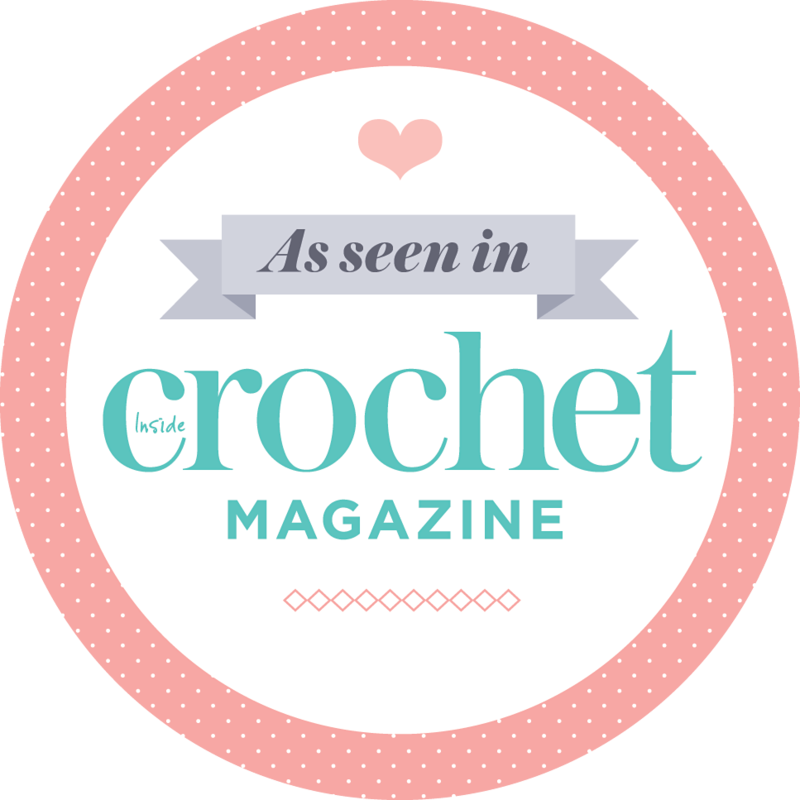 I hope you all enjoy using the super soft yarn and spending your gift vouchers! Dave very kindly gave his wooly winnings and gift vouchers to Cecilia. Nice guy, that Dave. 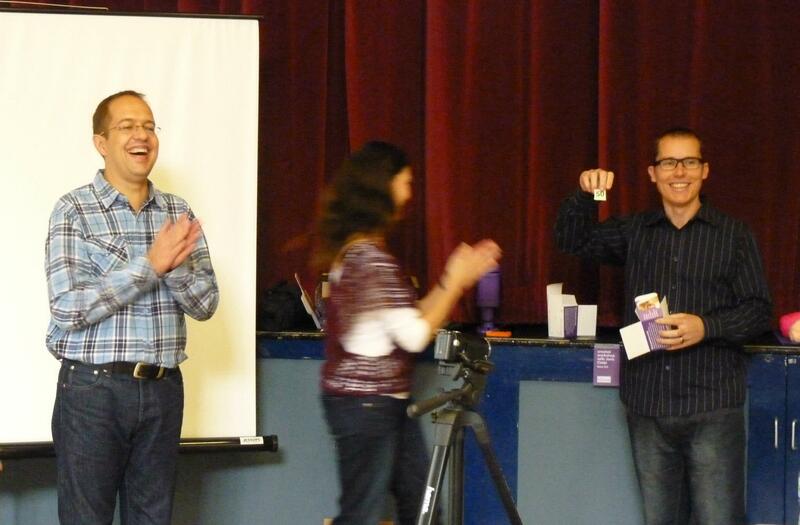 The raffle prizes were drawn by John, Pieter, Jane and myself. Handing out the prizes was the second best part of the day for me. I loved seeing the winners faces! The prizes were sponsored by Jane Czaja who donated a crocheted basket and a place in one of her crochet workshops, I gave one of my crochet clocks, Stylecraft Yarns gave two prizes, The Crochet Chain from Waltham Abbey in Essex gave, amongst other things, three balls of Noro yarn, three books, three bamboo crochet needles and loads more yarn (! ), two books were donated by Cico Books and a Sharp Crochet Hook. Thank you to each and every one of you for being so generous, it really means a lot to us. We also received a last minute raffle prize donation from Loveknitting.com. 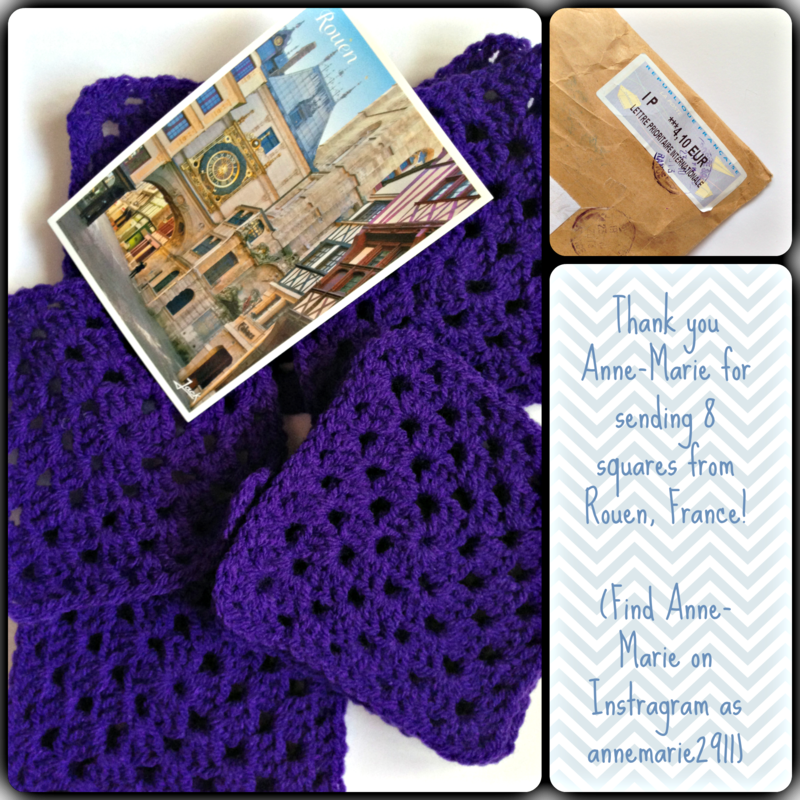 I was so surprised when Helen arrived at 10:30 with the bag of three balls of purple yarn – thank you so much Loveknitting.com! That last minute prize was won by Cecilia. Throughout the day an old school friend of mine, Helena, and Pieter’s lovely wife Lizelle, sold hot drinks and the cakes that everyone had brought. They did an amazing job and I was really glad they were there to help out. 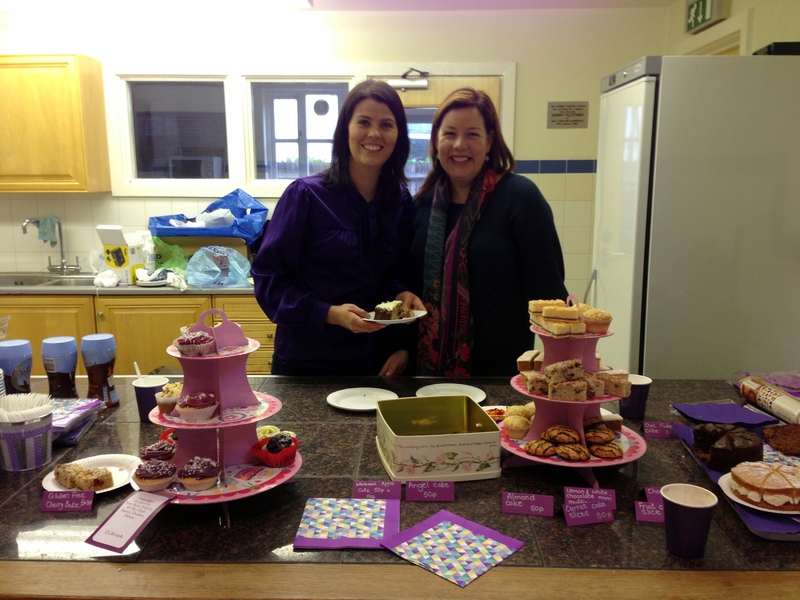 I would like to mention that Nice Buns Bakery from 48 High Street Thames Ditton, donated a dozen cupcakes for us. Not only did they do it for free, they delivered it to us at the Vera Fletcher Hall and even said that if we ran out of coffee, tea etc. to just call the shop and they’ll bring us more. Aren’t they lovely?! Their blueberry and lavender cupcakes were really something special – so special that I didn’t even get a chance to take a proper photo. I would also like to thank Tammy, who works for Kidney Research UK, who drove all the way from Peterborough to attend our event and brought with her pamphlets and Kidney Research UK merchandise. Tammy has been a great help and support to me. Thank you to each and every one of you who sent me a square and to those of you who travelled all the way to Thames Ditton yesterday to attend the event. It means so, so, so, much to John and I. 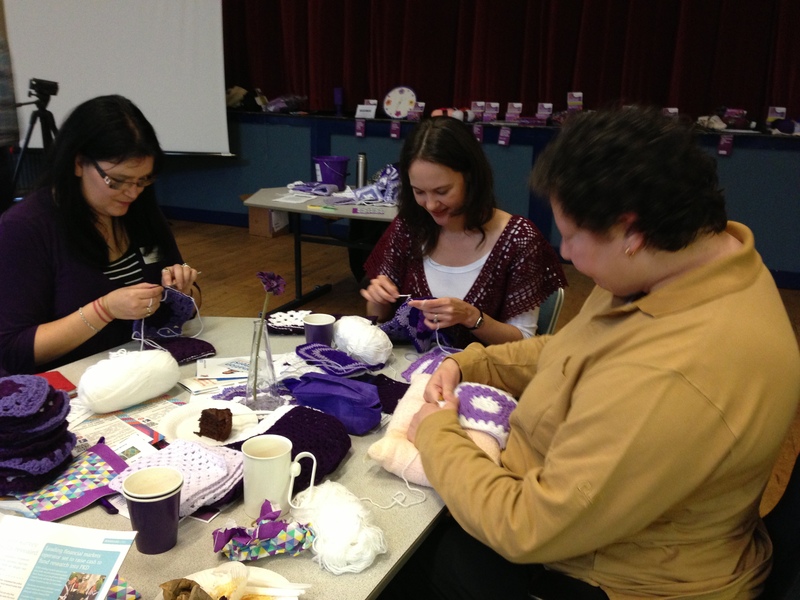 In case you’re wondering, yes, there will be more of these type of crochet events. I learned what worked and what didn’t, so the next one will be bigger and better. Its the day before the big event and another three parcels of squares arrived. Between these three I received enough for another blanket! Can you believe it? Three strangers from England, Scotland and Berlin basically crocheted a blanket! I can’t tell you how touching that is for me. Crocheters simply are the best. 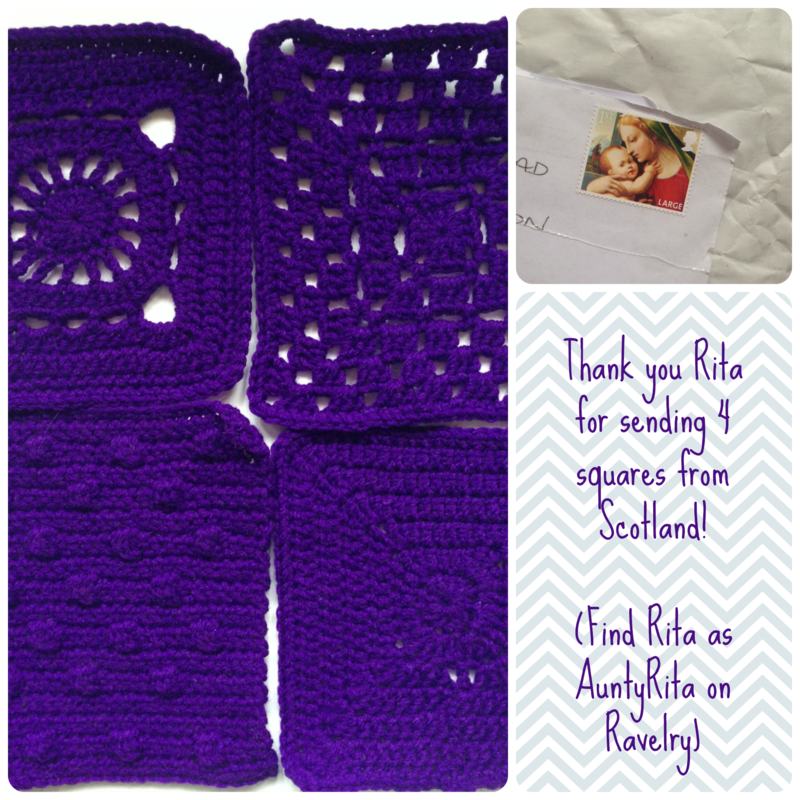 Rita said sorry for “only” sending four squares as she ran out of time. Rita, without your four squares we wouldn’t have had enough for another blanket. Each square counts, so thank you very much. 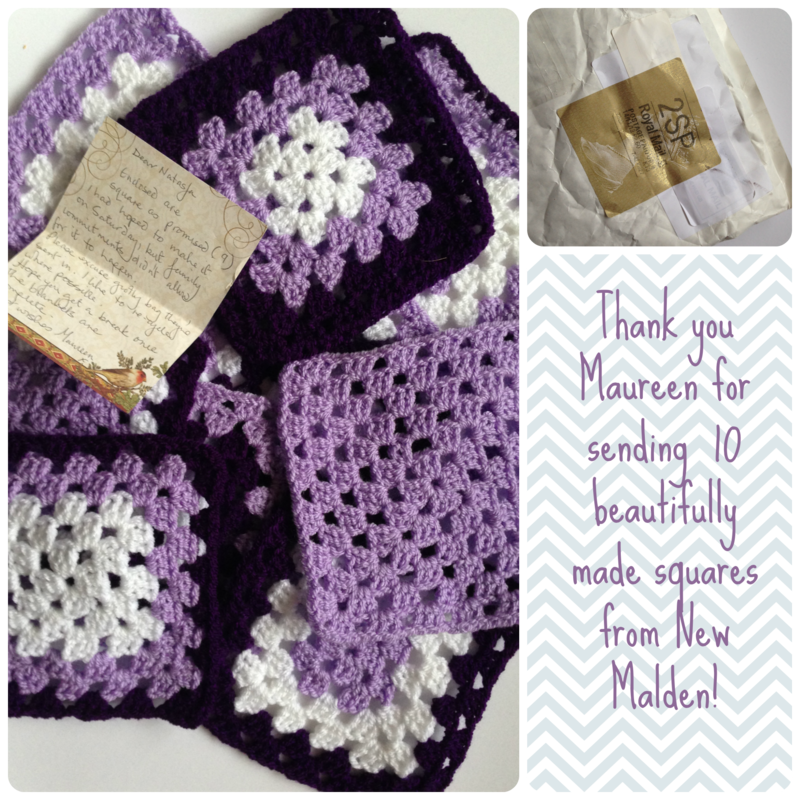 These eight squares sent by Linda, they are the first crocheted squares she has ever made. As in, ever! She only learned to crochet on 9 October. I was amazed that she would say in her note to me, that she didn’t like the look of them. What!? Even for an expert crocheter, these are great. Well done Linda. I am proud to include these in the blankets. 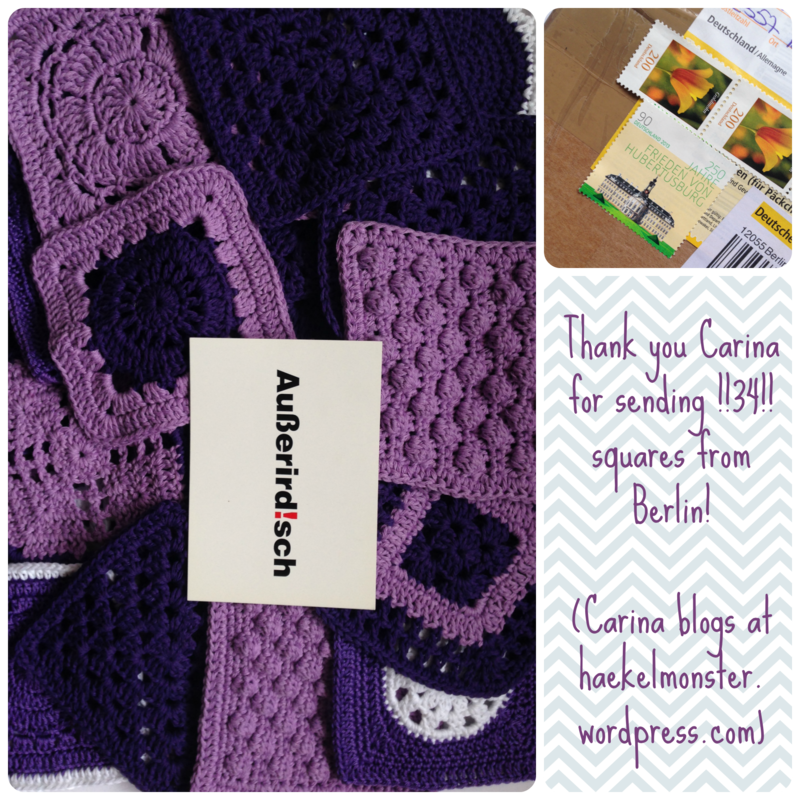 Carina, who blogs over on haekelmonster, sent me a box of 34 squares from Berlin, Germany! Carina was afraid they wouldn’t arrive in time, but they did and each square is so perfectly made. Thank you so much Carina! While I was typing this post FedEx rang the doorbell with this delivery. 68 Squares sent by Jennifer Lewis and Carol Cicotelli from the USA. I was so excited I didn’t even photograph the squares on a white background. I’m totally blown away by their generosity. 68 Squares are almost one and a half blanket, and they took the trouble to send it by courier so that it would arrive in time. I honestly have no words. The total square count is now 50 cotton squares and 232 acrylic squares making the grand total 282 squares! And that’s without the squares from the people who will be attending tomorrow’s event! We will definitely be able to give six people a blanket each, maybe even seven. Wow, wow, wow. 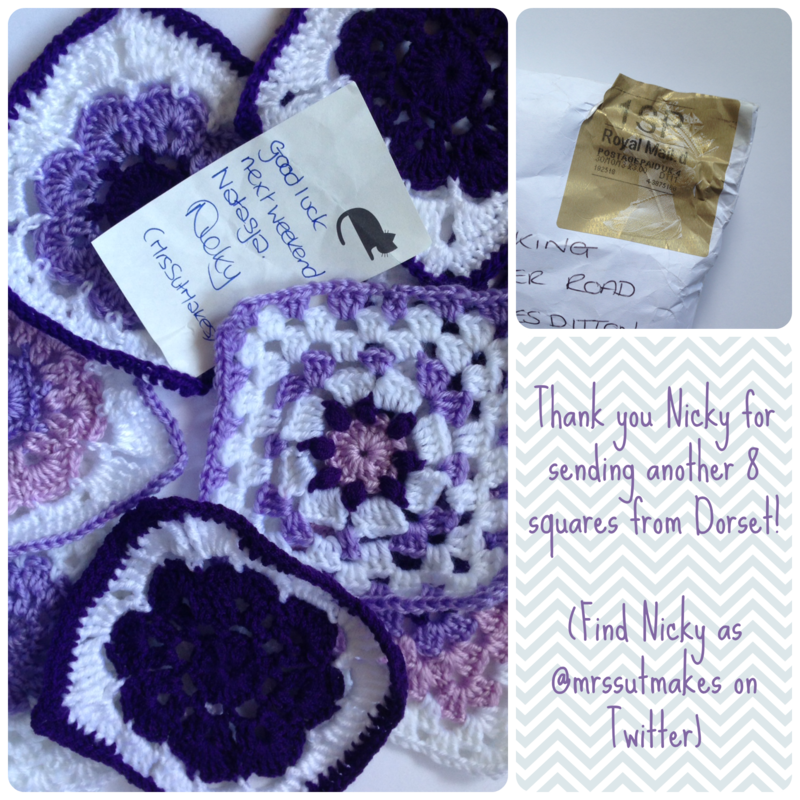 I received a second batch of crochet squares from Nicky Sutton yesterday. Thanks so much Nicky! This brings our total up to 152, with two more packets on it’s way from ladies in Germany. You guys are really the best! The Vera Fletcher Hall deposit is paid and I had a chance to have a look around earlier this week. It’s a great space. 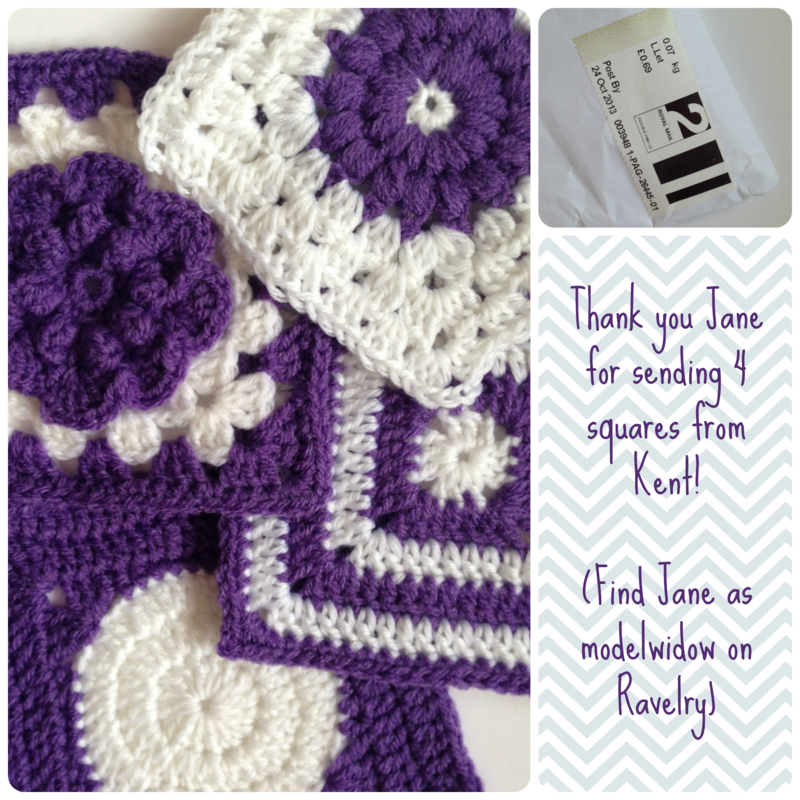 One and Two Company designed a Kidney Granny Square pattern especially for this charity project! Find the pattern here. Please come to our event and see what all the fuss is about. 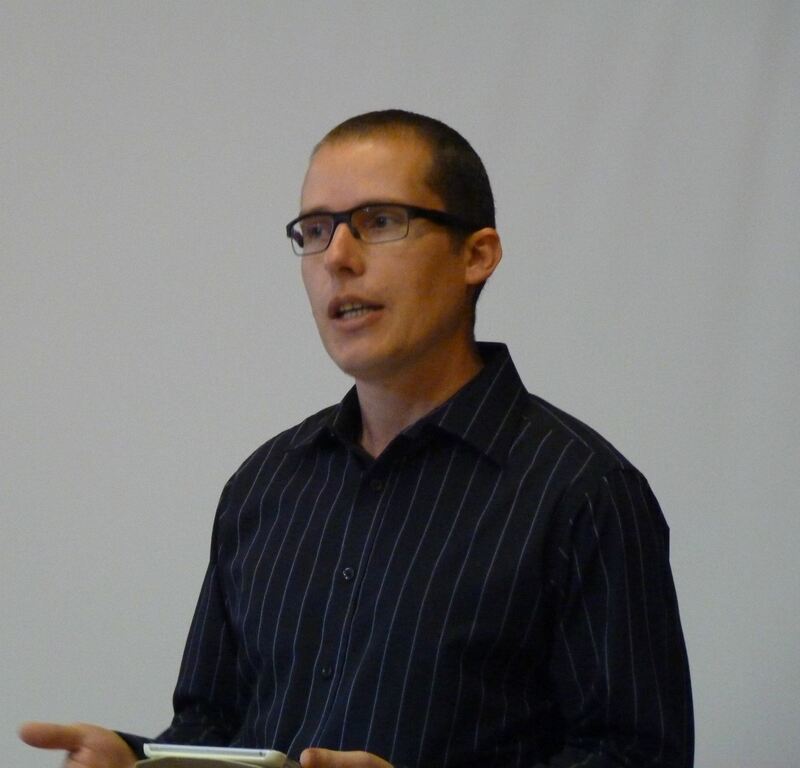 John, Pieter, Lizelle and I really hope to see you there! If you decide to come, please use the Registration form here, to tell us you’ll be there. It would be GREAT to know how many people to expect. Another four packets of squares for the blankets for the Crochet For Kidney Research UK event arrived this week. These four packages contained 43 squares – that’s just five short of one whole blanket made up of 8 rows of 6 squares! That’s fantastic! 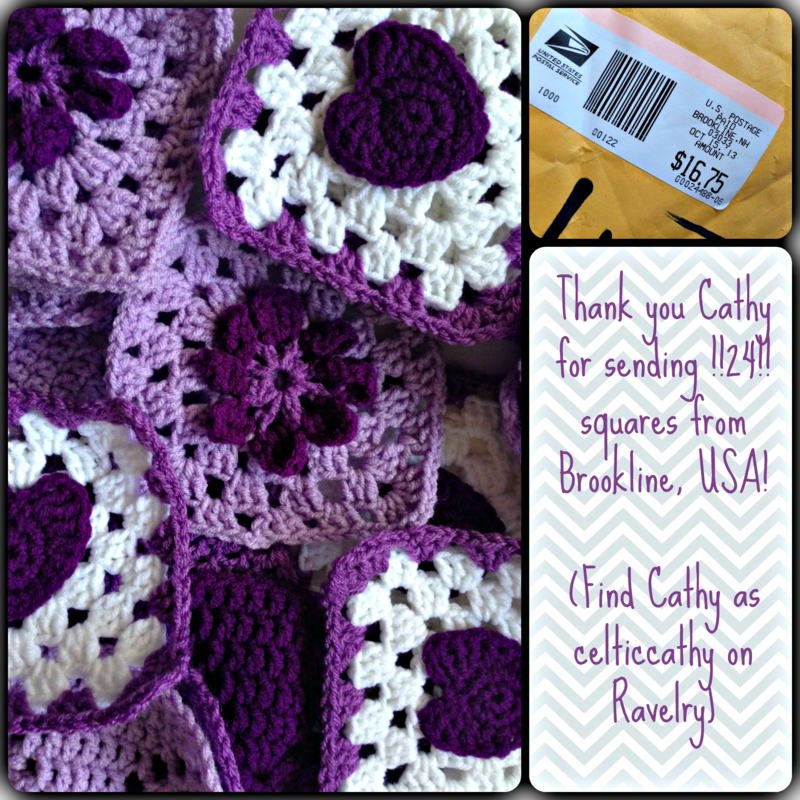 A huge shout-out to Cathy who sent 24 squares all the way from the USA. 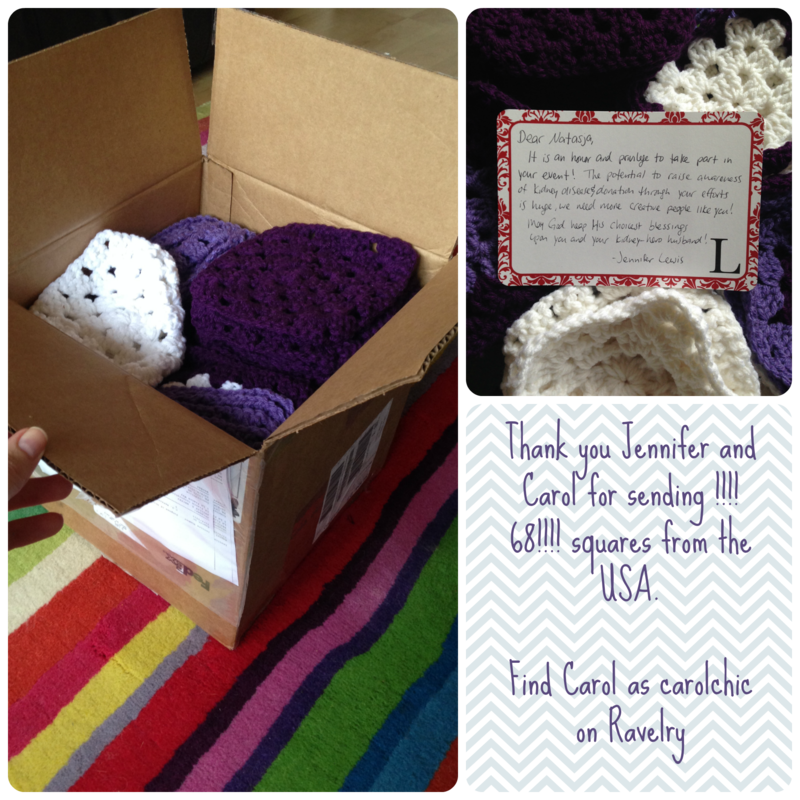 I don’t know why, but whenever I receive squares from as far afield as the USA it really touches my heart. Speaking of hearts. Those purple hearts on the white squares were sewed on my hand! Can anyone say “fiddly job”? Thanks again Cathy, your hard work is very much appreciated. 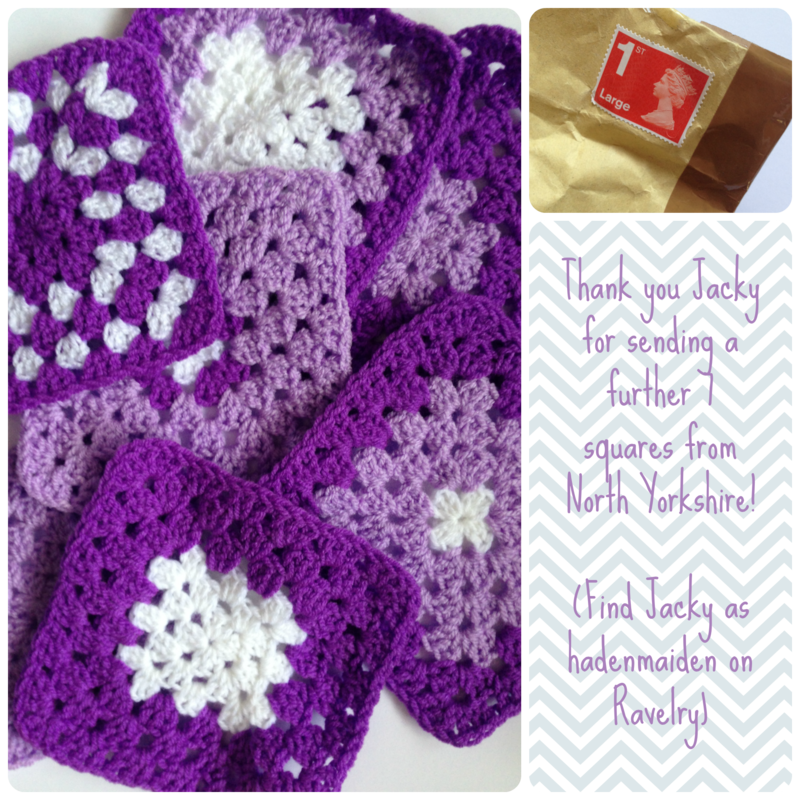 I also have to mention Jacky who has sent a second batch of squares. Jacky = twice as nice. The total square count is now 144 – that’s exactly three blankets. Last week I was still hoping for three, and now we’ve done it!! Your kindness and generosity is amazing to me. I read all the notes and postcards that I receive with the squares. Everyone’s kind words and support means the world to me – especially now that we have less than two weeks to go to The Event (!) Thank you.